Months ago, I had an epiphany while I was sitting on my couch eating my dinner. I had just gotten home from work and settled down in my empty house. I started to reflect on some difficult life stuff. Unasked for and uninvited, some painful memories intruded my thoughts and I immediately felt a sharp sting of pain and discouragement. I think we can all agree that there are certain things we go through in life that feel ugly. I always try to look for the beauty in the midst of painful circumstances, but sometimes I’m hard pressed to find the good in the middle of the hardship I am currently experiencing. When faced with life’s difficulties the cry of my heart is to have the “beauty for ashes, joy for mourning and praise for heaviness” experience described in Isaiah 61. I’ll be honest. It isn’t always easy to hope for that when your own heart attacks you and you feel crushed by your emotions. So, there I was feeling crushed. Suddenly, another thought invaded my mind. It presented itself as a rebuttal to my feelings of despair. This isn’t the end. I was almost caught off guard. I could literally feel the heaviness begin to subside, as I recognized the voice of God speaking to my pain. This isn’t the first time He has told me this, but trust me, I need plenty of reminders. I realize that simple thought, that this isn’t the end, has the power to lift my hopes and change my perspective. As I sat on the couch, dinner in lap, I began to think about being in a movie theater. What would happen if the reel was cut in the middle of the film and we were led to believe that it was the end of the movie? Everything would be in upheaval. The characters would be in the middle of great crisis and there would be no resolution in sight. We would be left unresolved and it would definitely fall short of a feel good experience. Everyone would leave upset and wanting their money back. I sense God is challenging me to view my life from this perspective. When I feel discouraged about my circumstances, I have to remember that I am viewing my life from the middle of the movie. Sure, things might feel like they are in a state of upheaval, but they usually are when we are in the thick of the plot line. 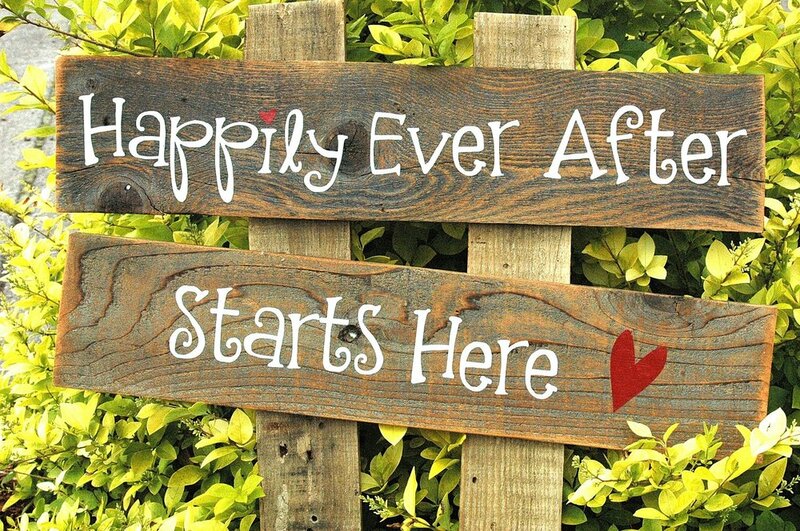 Sticking it out and staying the course may require some tears, some pain and a considerable amount of endurance, but it is necessary to get to the point where we see our happily ever after begin to unfold. We can’t hit the pause button by putting our lives on hold...that would only stop our progress. We can’t fast forward to the end by trying to rush or manipulate circumstances…that would only lead to a less desirable alternative ending. We can’t sit in the theater and complain about the film as it plays out or try to figure it all out before we get to the end…that will take away from the joy of the surprise ending…not to mention annoy everyone else in the theater around us. We must simply enjoy the movie as it plays out and trust that our director specializes in happy endings.